Price: This product is available on the Khadi Natural website for INR 210. Check several other websites to avail discounts this season. Packaging: It’s a sturdy and long lasting plastic container with a screw cap. What I like and don’t like about this product? This protein hair cream is suitable for all types of hair, but mostly beneficial for normal to dry hair. I bought this hair cream to tame my frizz. 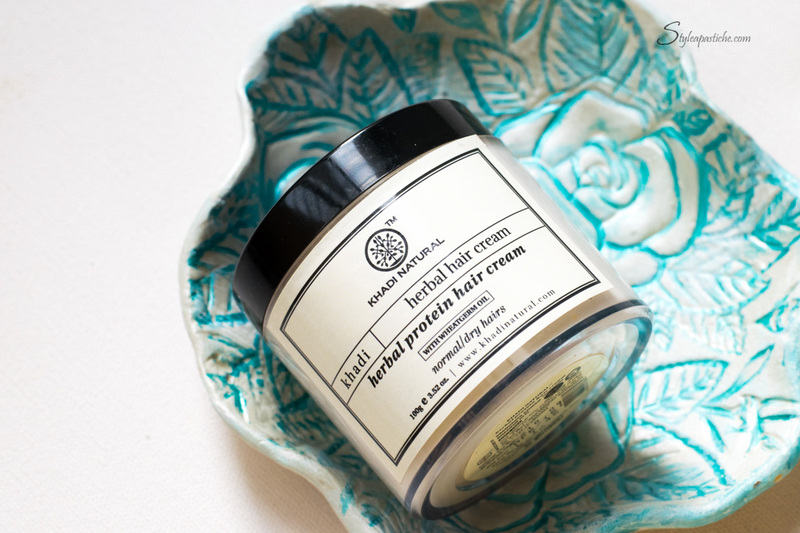 The hair cream is just the thing for dry winter hair. It acts as a substitute for oil when you don’t have the time or patience. They provide tremendous results. I can feel my hair all soft and nourished. It is white in color and the texture is not too watery or too thick, its perfect to apply and it spreads easily. Gentle massage before shower, or some prefer to apply after as well, is all I need for a good hair day. They not only strengthen but also promote hair growth. It can be used on color treated hair as well. The fragrance is sweet and relaxing, I can smell hints of lavender in it. 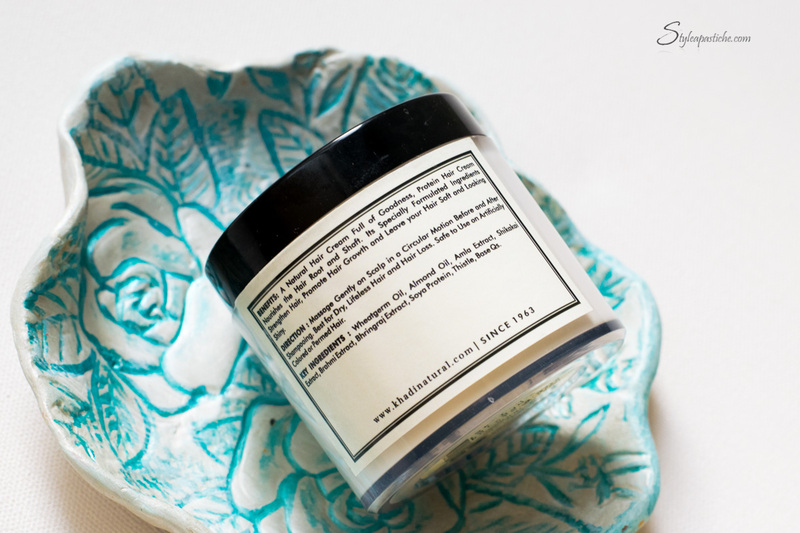 Next Post Winter Skincare : Butter From Magic Beans!! it’s perfect for this winter. Can I just check how do you go about using this product actually? I bought one and based on the instructions,it says we have to use it before and after shampooing but I think I might be doing it wrong. After I shampooed, I massaged the cream onto my scalp and I left it on for 10 minutes before washing it off and I didn’t follow up with a conditioner after that as I thought this cream would act in replacement of a conditioner. My hair was extremely dry after that, I have used this cream the same way about 4 other times and the results were the same. Can you advice if I am doing it right or am I supposed to use it as a leave-on cream after shampooing and not wash it off?